Home / Indian Restaurant / Spice up your Aloo Tikki Chaats with Chutney, Yogurt, Chole and More! A popular snack item served in most Indian restaurants, aloo tikkis are a preparation made using boiled potatoes, peas, and spices. Served in a number of ways, here is how you can make the most of this delicious food item! Spicy and refreshing, chutney made using mint together with aloo tikki is a perfect blend of tastes. With aloo tikki offering the crunch needed and the chutney being its minty self, you are sure to enjoy the tikkis more. Along with the spicy and minty chutney, something sweet and sour works as a great accompaniment. Chutney made using tamarinds are ideal with aloo tikkis for those who love it sweeter rather than spicy. Curd is another accompaniment that, while seeming tasteless, tastes like magic with aloo tikkis. The lovely combination of hot and cold and the blend of flavours give you just the right balance. Additionally, you can add spices or chaat masala within the curd to make the taste a little more zestful. Apart from chutneys, another item that is popularly served with aloo tikkis is ragda or chole. Made using potatoes, yellow peas, and spices to boot, ragda patties are quite a delicacy. The dish is voraciously relished in the western regions of India. 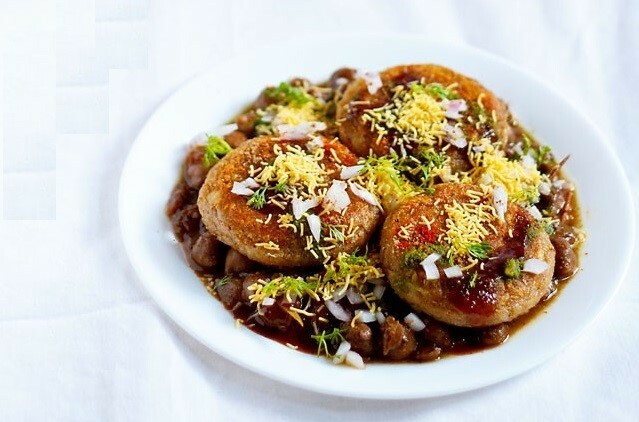 On the other hand, chole patties, having originated in northern India, are another variation that is enjoyed quite a lot. This dish is now popular across the globe for the unique flavours and the flavoursome taste of all the items blending together. If you love potatoes and would rather not have fries like you usually do, heading to the best Indian restaurant in South Yarra should definitely be on your list of things to do for the day. Apart from getting the chance to enjoy some scrumptious aloo tikki, you can even make the most of the ambience that the restaurant offers and spend a lovely evening with your friends and family.